Our collections offer something for everyone. 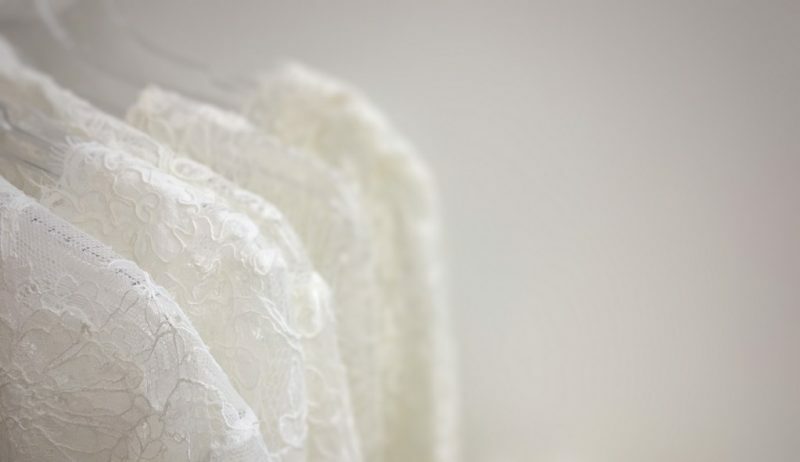 Whether you’re looking to add a touch of sparkle, some detailed lace or simply a plain floaty layer to catch in the breeze, you’ll be sure to find what you’re looking for on our website. Our sizing is extensive – from shoulder length to cathedral and beyond. 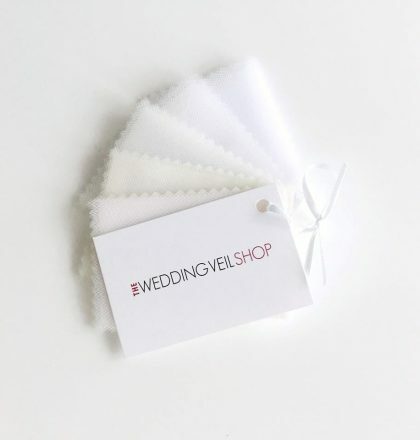 And we have a fantastic range of 11 tulle colours, so finding the right one to match your dress will be simple. 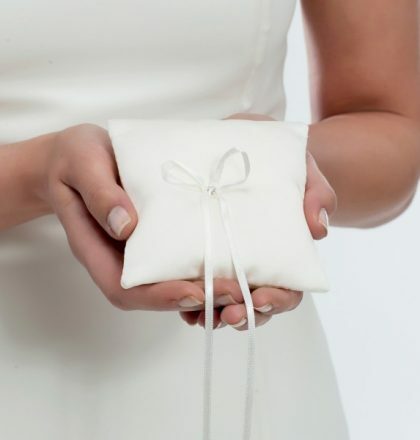 And to make it even better, all our bridal accessories come with Free UK Shipping and a generous 30 day returns period! 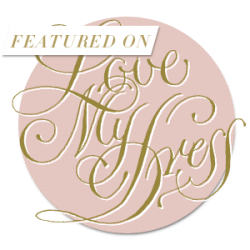 Visit our LMD Featured Designer page! Shop NowBuild your own veil! Custom veils are kinda our thing. 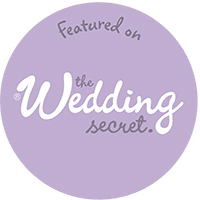 Each gorgeous design you see on this website has been handmade in the UK by our skilled seamstresses, and we can make a custom veil for you to the exact same high standard so you don’t have to gamble with something so important on your wedding day! If you don’t want to build your own design and would rather just browse and be inspired, have a look through our current collections above. 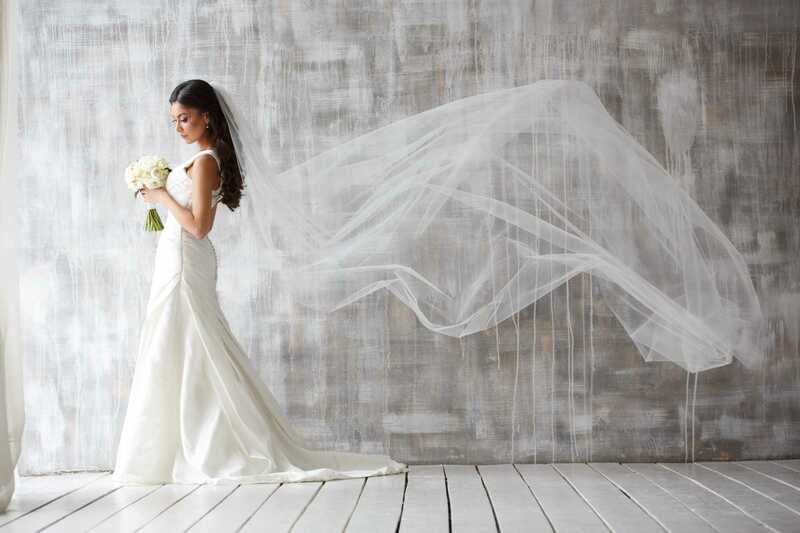 BOOK A NO OBLIGATION VEIL CONSULTATION WITH A SEAMSTRESS AT OUR BRIDAL ACCESSORY BOUTIQUE. 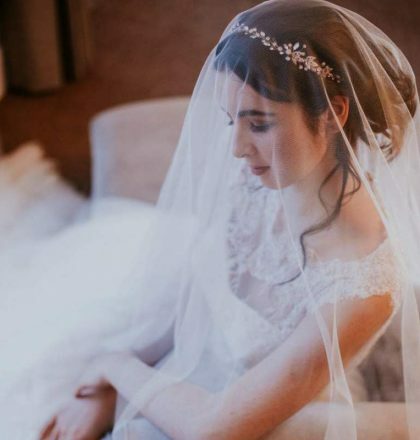 When it comes to headpieces, you’re going to want to think about whether you want it to be visible from the front, in which case you could go for a traditional tiara or headband, or perhaps a vine which can be worn much like a headband, or, if you’re feeling the boho vibe, across your forehead. Or perhaps you’d rather the headpiece be seen more from the back or side, in which case a clip, comb or hairpin would be ideal. These little guys can be positioned anywhere, including over the top of your veil. Let’s not forget those final, finishing touches. They really can make all the difference. We have accessories that can completely transform the look of your dress such as a lace jacket with sleeves or a waist-cinching belt. 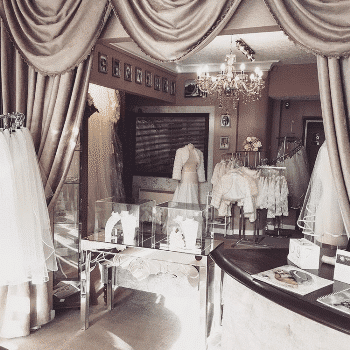 We can shape out your dress with our hooped underskirts in various silhouettes, and we can provide those future heirloom pieces with our garters, jewellery and ring cushions. Do you prefer to do your shopping in person? Then why not come and visit us at our bridal accessory boutique in Blackpool! It’s where all of our beautiful wedding veils are made. We also stock many of our accessory pieces from this website and exclusive designs not shown online. Please note: Consultations are by appointment only as you’ll need to speak to a seamstress. You can now book appointments directly on our boutique website. 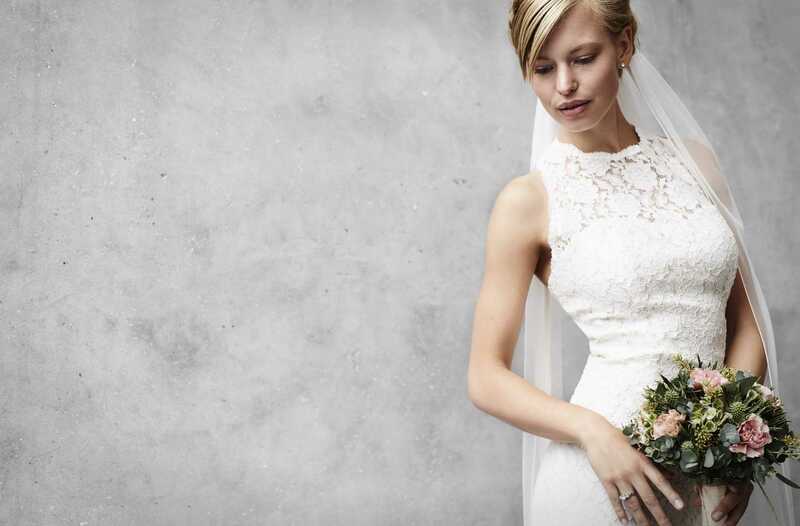 You can even bring your wedding dress! 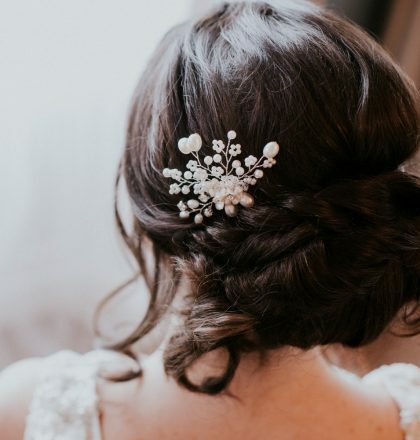 Over the years since our company began, we’ve definitely seen a few bridal accessory trends come and go. Here’s our take on the current favourites. 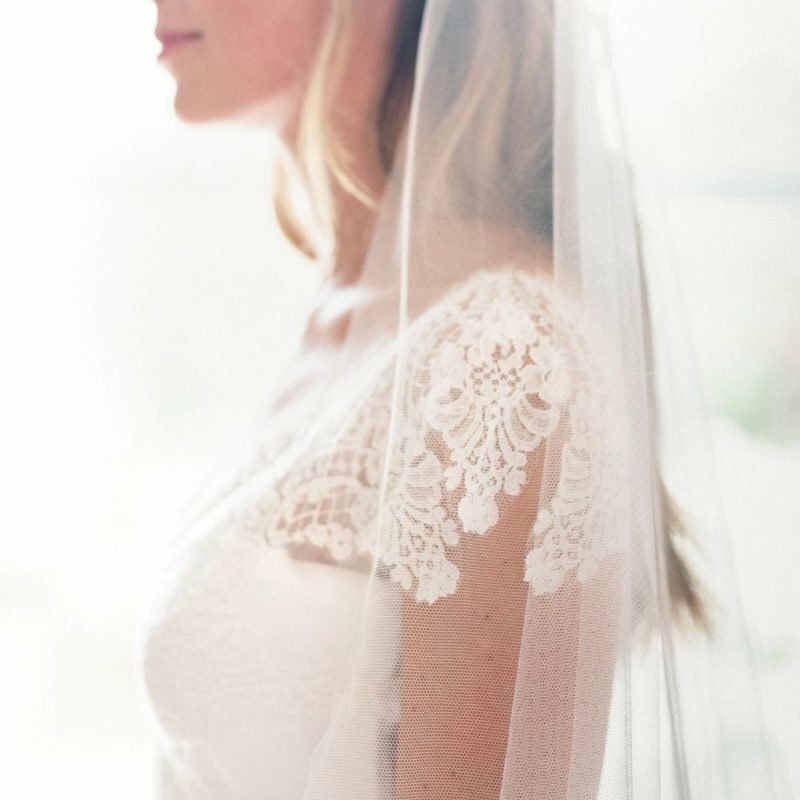 At the moment, it’s definitely all about the long veil. Particularly in single tier chapel and cathedral lengths. Two tier, aka blusher veils, and the shorter shoulder and elbow length styles have been a bit on the back burner as of late. In terms of styling, that’s still nicely varied between the very plain and the gorgeously detailed. 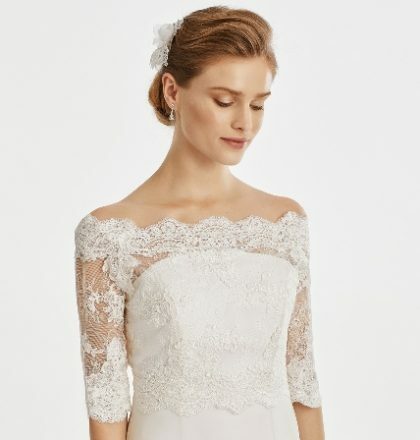 Cut edge and pencil edge veils are still so popular, as are lace edge and lace applique numbers. In terms of colour, you might have already guessed that the ivory shades reign supreme as that’s what 90% of today’s dresses are. Particularly for us, our Light Ivory — which is our bestselling shade by far — followed by Diamond white (an off-white shade) and Ivory Shimmer. We don’t see as much call for pure White or the deeper colours like Oyster, Blush Pink or Champagne. 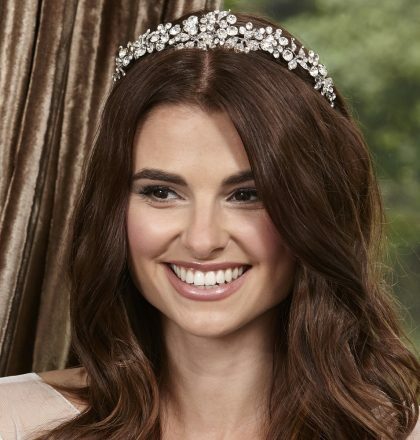 For headpieces, we’ve seen an increase in requests for side combs and clips, and also the classic tiara is still going strong. 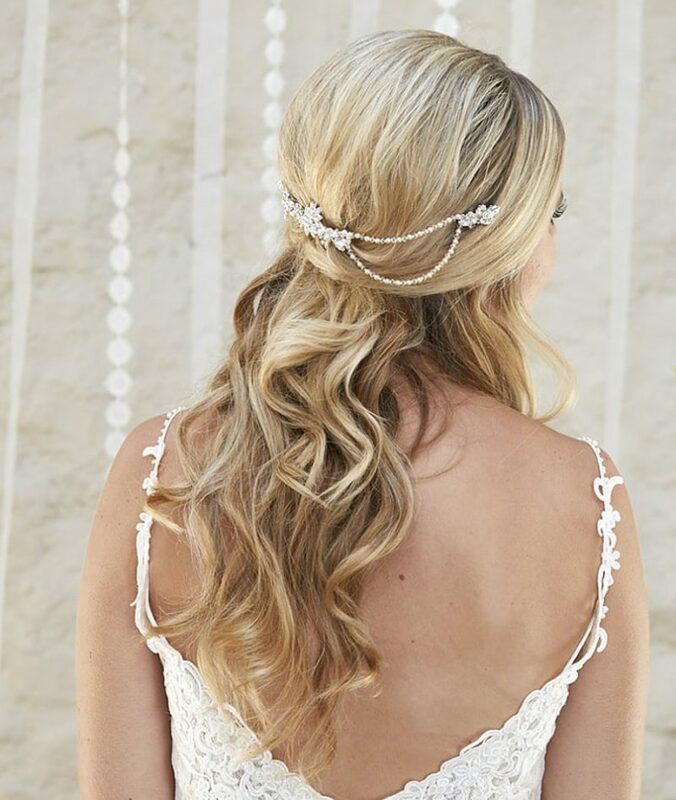 The versatile hair vine, which can be worn in so many positions, is rising in popularity too. 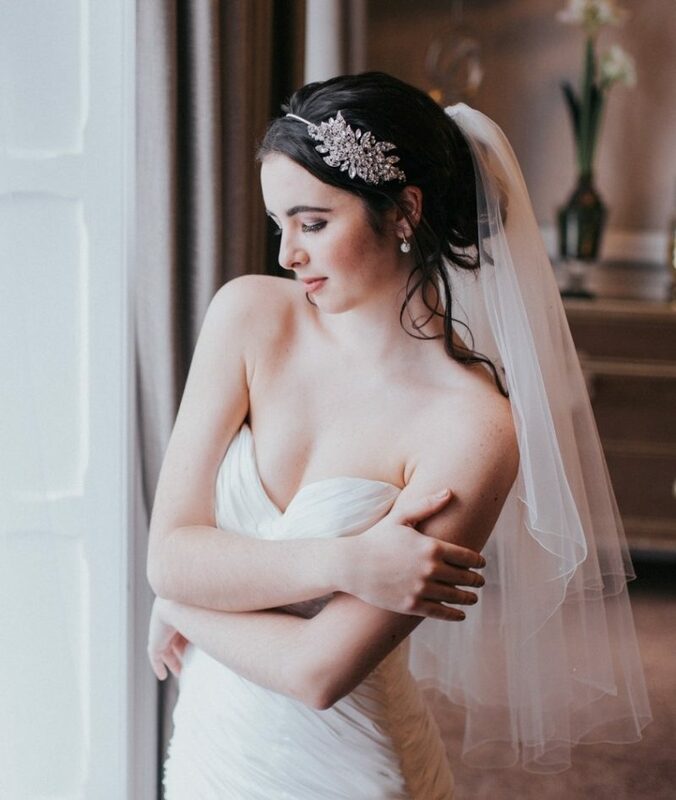 In terms of colour, silver is, and has always been, the most popular headpiece colour brides wear. We suspect the rose gold trend of the last couple of seasons may be starting to wane a little. For our other accessories… Well, you can never go wrong with a touch of “something blue” in your garter. For bridal jewellery; less is always more, and a simple pendant is definitely being favoured over chunkier designs. 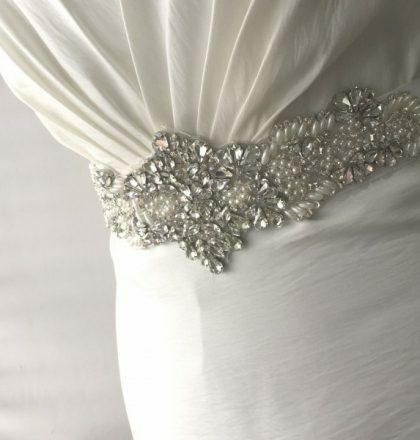 As for bridal belts, again, we’re finding brides are wearing the smaller, narrower designs more than larger pieces. When it comes to jackets and underskirts, obviously the shape and design of the bride’s dress will dictate the style chosen so we see lots of variety in these two categories. So there you have it. 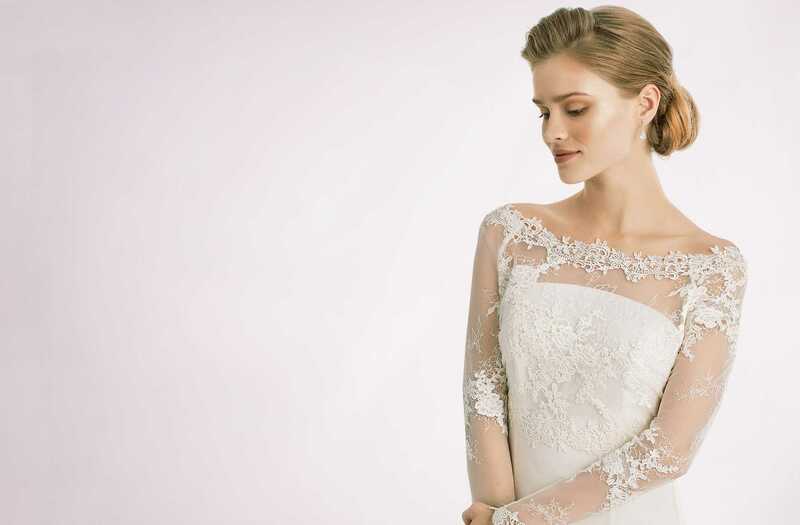 That’s our take on the current bridal accessory trends for 2019. Whether you are drawn to the trends of the day or prefer to create your own style, we know you’ll find your perfect wedding accessories for your special day here with us!